With a towering intellect, a passion for science and an incredible talent for music – Raja Ramanna was truly a multi-faceted personality. Often referred to as the ‘Father of India’s nuclear program’, Dr. Raja Ramanna’s played a tremendous role in ensuring that India joined the elite league of nuclear-powered nations. Raja Ramanna was born on January 25, 1925, in Tiptur, Karnataka. He came from a rather privileged background. His father was in the judicial services and his mother came from a wealthy family and was a feisty, independent woman who was progressive yet at the same time rooted in her traditions. His parents played a major role in shaping Raja Ramanna’s personality. Raja Ramanna studied at Bishop Cotton School. His academic brilliance and his talent for music were evident from his school days. He joined the Madras Christian College for his B.Sc in Physics and BA in classical music. In 1952, Raja Ramanna won the Commonwealth Scholarship and joined the King’s College in London. He studied reactor physics, philosophy, and European music and was awarded a Ph.D. in nuclear physics. 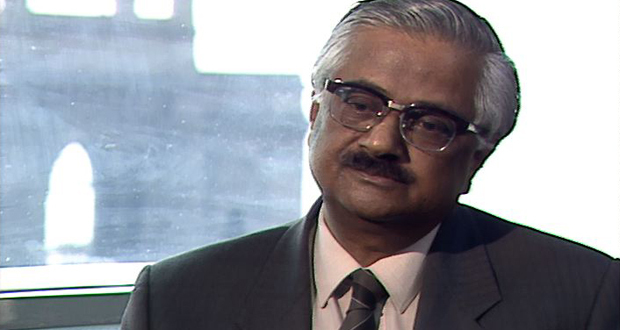 While at London, he met Dr. Homi Babha, the architect of India’s atomic energy program. Deeply influenced by Dr. Babha’s passion and love for his country, Raja Ramanna decided to return home and join India’s fledgling scientific community. Urged by Dr. Homi Babha, Raja Ramanna returned to India and joined the Tata Institute of Fundamental Research where he began his work on nuclear fission and scattering. He joined Babha Atomic Research Centre in 1954 and was soon heading the nuclear weapons research program. The attempt to develop an indigenous nuclear device began in 1967. In 1974, India conducted its first nuclear test at Pokhran and it was a major success. Dr. Ramanna held several important positions in the course of his scientific career. These included the roles of Director in Bhabha Atomic Research Centre, Director-General in the Defense Research and Development Program, Chairman in the Atomic Energy Commission, Vice President in Indian National Science Academy, and Director in the National Institute of Advanced Studies. He also played a major role in setting up the Centre for Advanced Technology at Indore and Variable Energy Cyclotron Centre at Kolkata. Raja Ramanna’s love for music began during his school days when one of his teachers at Bishop Cotton School noticed his talent and encouraged him to play the piano. Though he studied Western classical music, he had a keen ear for Indian classical music too. Dr. Raja Ramanna gave several public concerts and post-retirement played an active role in encouraging young musical talent by associating with the Bangalore School of Music. His book, The Structure of Music in Raga and Western Systems shows his abiding passion for music. Raja Ramanna got the Shanti Swarup Bhatnagar Prize for Science and Technology in 1963, Padma Vibhushan in 1975, Padma Shri in 1968 and Padma Bhushan in 1973. He was also appointed as the Union Minister of Defense in the 1990 V.P. Singh government and became a Rajya Sabha member in 1997. Raja Ramanna died on September 24, 2004 (aged 79), in Mumbai after suffering a cardiac arrest. India remains forever indebted to his contribution in nuclear physics.